Seeing You was recorded in London and produced by Ben Walker (radio 2 Folk Award Nominee). The EP contains 4 new tracks of cutting and clever lyrics, delivered with what BBC6 producer Tom Whalley said to be “one of the most perfect voices [he’s] ever heard”. Roxanne de Bastion was born in Berlin and grew up both in England and Germany until she set out on her own, leaving Berlin for London, equipped only with her guitar and a one-way ticket. The young troubadour tours throughout the UK, mainland Europe and the United States, all on trains and busses. She self-released her debut album The Real Thing, produced by Gordon Raphael (The Strokes / Regina Spektor) in 2013 and has since then been invited to speak at music industry panels on the subjects of DIY music, copyright and the future of music, along side Fran Healy (Travis) and Ed O’Brien (Radiohead). She has already been championed by Tom Robinson on BBC6, John Kennedy on XFM, Ruth Barnes on Amazing Radio, as well as MTV and Radio Eins in Germany. 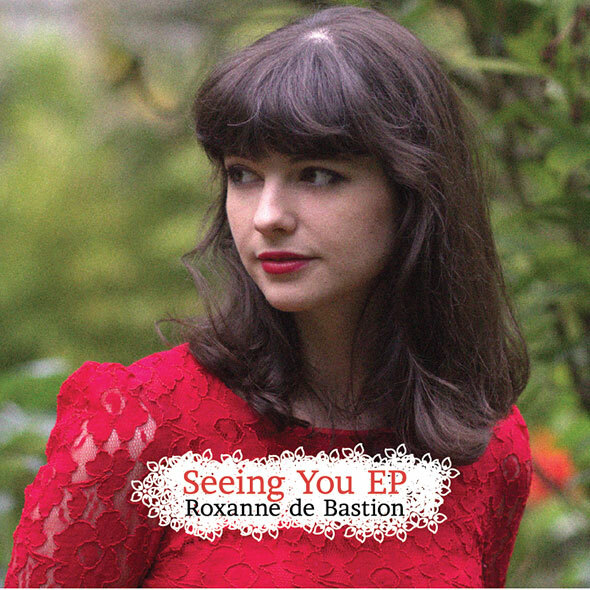 With Seeing You, Roxanne de Bastion continues to forge her own style and a unique approach to a classic musical genre. Musically, Roxanne’s compositions are routed in the music of the 1960’s, but the tone of voice is very much her own and the stories told are expressed in a way that could only be now. Her lyrics range from introspective journeys in Seeing You and Same Moon, through to observations on instant gratification and repetition (Rerun) and the tearing down of the East Side Gallery in Berlin, Roxanne’s town of birth (Wasteland).